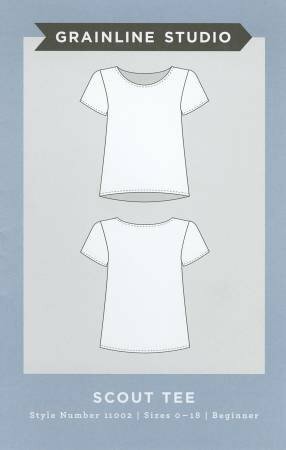 Part of our Garment Foundations series, the Scout Tee from Grainline Studios is an excellent project for a beginner. A woven t-shirt with cap sleeves and a scoop neck, the Scout Tee will fit seamlessly into any wardrobe. It works well on its own or as a layering piece. Techniques learned: making and applying bias facing, setting sleeves, and finishing a basic hem. Fabric options: most light or medium weight woven fabrics will work well for this project. This class requires that you have taken the Intro to Modern Sewing class or have equivalent sewing skills. Class pattern and supplies must be purchased at The French Seam.